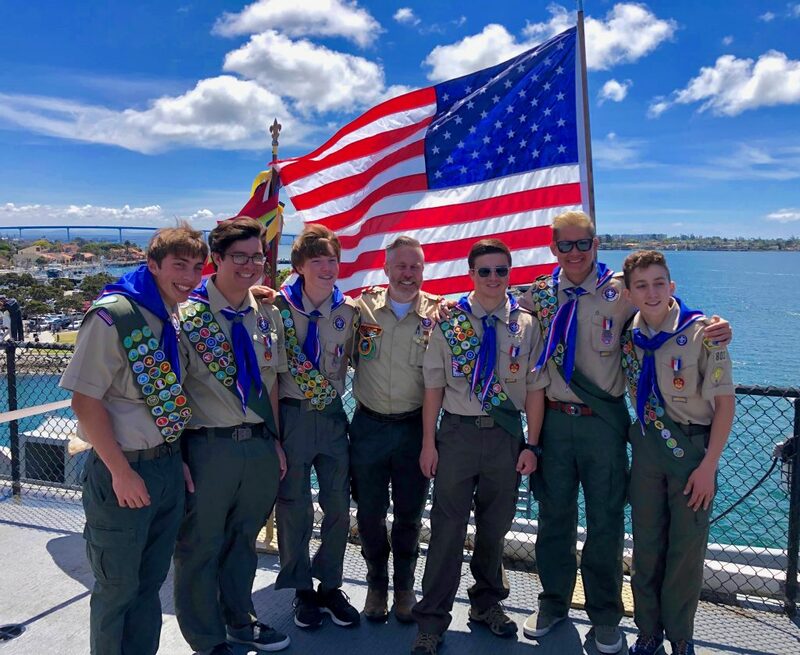 On Saturday, April 6, Coronado Boy Scout Troop 801 held an Eagle Court of Honor Ceremony aboard USS Midway. Many congratulations to Xavier Czerewko, Gideon Goodmanson, Kort Grossmann, Declan Homan, Daniel Marsh and Joseph McKenna. 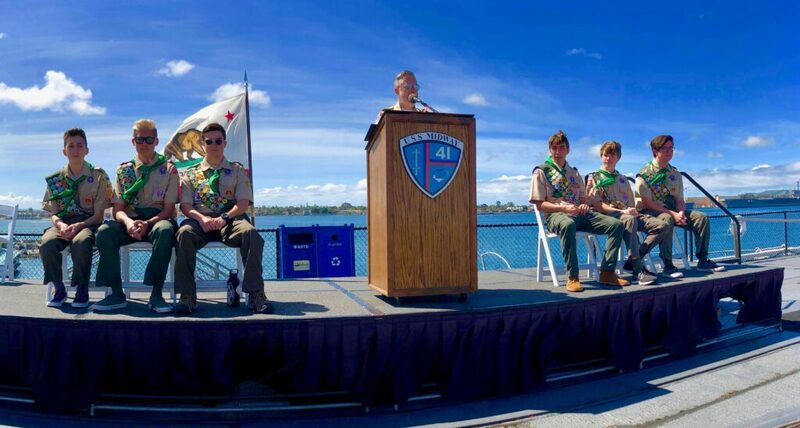 Scoutmaster Joe Mullins, Mayor Richard Bailey and Former Coronado Police Chief Jon Froomin were all in attendance.